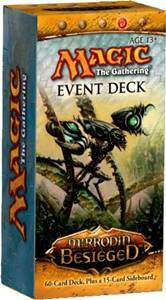 Mirrodin Besieged has seen the inagural launch of a new preconstructed product, the Event Deck. The blurb on the back of the box trumpets their suitability for the “world of tournament play,” each card “handpicked to inflict pain upon any opponent” and designed to let you be “immediately competitive.” Promising, no? Of course, these being preconstructed decks my buying them was a given, but by the same token I wanted a way to assess their success. It’s been awhile since I played a lot of competitive Standard (reviewing precons takes up the bulk of my gaming time), but surely there had to be some way of measuring the effectiveness of the Event Decks right out of the box. Obviously, they were designed to be competitive. How well did they pull it off? My first instinct was to find some way to relate them to the current Standard environment. Sure, you’ll always have a few folks at their Friday Night Magic that want to run the wacky combo decks or tribal themes, but you’ll also have some of the latest tech show up in the hands of the truly competitive who have been scouring the internet for the latest strats. How to measure these decks against the top of the field? As it turns out, there does happen to be one notable personality who’s given me the perfect tools to do precisely that: Luis Scott-Vargas, better known by just the acronym LSV. For those who may not know him, LSV is a pro player of no small standing. In addition to being the editor for Channel Fireball, he took top honours at Pro Tour Berlin in 2008 and has a slew of other respectable finishes (including winning US Nationals in 2007). While his credentials aren’t in doubt, it’s not his actual play that caught my attention. No, it was something LSV does, and does in every set that sets him apart from the rest of the Magic writing community. Every one. New set comes out, and LSV’s right there with a comprehensive and in-depth review of it, card by card, assigning each a rating on a 5-point scale for both Constructed and Limited. And hey, let’s face it, it’s not a perfect system, but it does give a pretty good guideline overall. A case can certainly be made that some of LSV’s ratings are low because he doesn’t see how a block unfolds, were cards that might appear less useful early blossom later (see: Stoneforge Mystic), but this isn’t a capital murder case. If we at least apply a consistent standard, we’ll get the ballpark figures we’re looking for, even if we do treat these decks as little more than the sum of their parts! Being just a few strong cards away from the “Kuldotha Red” archetype, Into the Breach is strongest in its creature base. Leading cards here should come as no surprise to anyone, as they are staples of the archetype: Goblin Guide, Goblin Bushwhacker, Lightning Bolt. LSV loves the Bolt, giving it a very prestigious 5.0 rating. It also packs in a pair of Devastating Summons, which LSV awarded a 3.0 (somewhat insightfully calling it “good enough to build a deck around”). There are a dozen noncreature spells in the deck, and they add up to an “LSV Score” of 34.0. Back to those beaters, some relatively new faces make their appearance here, and get solid marks from LSV, in particular the Goblin Wardriver, Memnite, and Signal Pest, all of whom carried 3.0 ratings. The 26 bodies that Into the Breach come equipped with top out at a 59.5 LSV Score. The deck picks up three easy points from a single Contested War Zone, and features a rather robust sideboard. A playset of Searing Blaze leads the field here, each worth a further 3.5 points. Four [card Goblin Ruinblaster]Goblin Ruinblasters[/card] each net 3.0, the rest filling in for two apiece. Total sideboard value? 40.0. This gives Into the Breach a final score of (34.0 + 59.5 + 3.0 + 40) 136.5. Don’t worry if that seems abstract all by itself, we’ll be giving it some context here shortly, but first let’s hop over to Infect & Defile. Infect & Defile is a midrange infect and proliferate deck. I had it clearly pegged at the outset as the weaker of the two, but of course I wouldn’t know just how much weaker until I’d put it through the LSV treatment. Creature-light, the deck leaned heavily on its rare bodies Phyrexian Vatmother and Hand of the Praetors, with playsets of role players like Corpse Cur and Plague Myr to fill it out. The Vatmother was a bit middle-of-the-road for LSV. Though he did call her an “impressive beauty,” her rating (2.5) suffered a bit due to the lack of a seat at the top-tier table for infect. The Hand suffered for the same reason, as well as being “at least one [mana] too many,” and only was rated a 1.0. Overall, for all sixteen creatures, Infect & Defile charted a mere 22.0 LSV Score. To be fair, the deck is surprisingly creature-light, so howabout those noncreature cards? All-star inclusions like Mana Leak (4.0), Smother (3.5), and Consuming Vapors (3.0) lead the pack here, which include extra removal like Doom Blade and library manipulation in the form of Preordain and Foresee. Taken together, these more than pick up the slack in the creature department, earning an LSV Score of 49.0. Finally, we have the sideboard and the land. Land is a bit tricky to score. No points are awareded for the basics, but a deck like Into the Breach is perfectly happy with a ton of Mountains. Two-colour decks like Infect & Defile are different in that they really do need them to be competitive. We’ll call it a wash and award 8.0 points for the twin [card Drowned Catacomb]Drowned Catacombs[/card] and set of Jwar Isle Refuge. As for that sideboard, it’s about on par with the first deck’s. Two [card Go For the Throat]Go for the Throats[/card] and two more [card Smother[/card]Smothers[/card] pack in extra removal, while extra slots are filled by effects like Flashfreeze and Negate. Total sideboard value? 39.5. Taken together, Infect & Defile has an overall score of (22.0 + 49.0 + 8.0 + 39.5) 118.5. Unsurprisingly, the deck is considerably weaker than Into the Breach, and the LSV Score has substantiated the decks’ first impressions. But are the decks “immediately competitive” in the “world of tournament play?” Let’s pull in the winning deck from Pro Tour: Paris and compare. Ben’s White/Blue deck put in a dominating performance, and the “Caw-Go” archetype (and subsequent variations like “CawBlade”) have hit their stride. It’s not too far-fetched to expect to see at least a watered-down version of this in even a moderately competitive meta. Can the Event Decks keep up? This version of Caw-Go ran only two creatures, Squadron Hawk and Stoneforge Mystic, for a total of 16.0 points. Interestingly, LSV said that the Mystic was “unlikely to make a splash in Standard,” but of course this was well before we knew that the next set was to be an artifact block. From there, the deck opens up quite a bit. Packing in ‘walkers like Gideon Jura and Jace, the Mind Sculptor, solid support like Day of Judgment, Mana Leak, and Sword of Feast and Famine, these accrued an impressive LSV Score of 86.0. The lands? Packed with dul and fetch goodies, there’s another 55.0 points right there. Add in another 37.0 for the sideboard (Baneslayer Angel, Oust, Ratchet Bomb et al. ), and you’ve got quite the deck? Top-grade, tier-one Constructed? 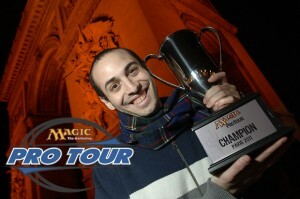 Pro Tour Paris was won with an (16.0 + 86.0 + 55.0 + 37.0) 194.0 LSV Score. And there it is. Even the better of the two Event Decks is only about 70% as “good” as Caw-Go, which tells me that these decks are very solidly tier-two (with Into the Breach charting a bit higher than Infect & Defile). In all likelihood, despite the box’s promises you’re not likely to be tearing up the scene with either of these two Event Decks anytime soon, so maybe what’s needed is a little bit of perspective. Perhaps what the hype on the back of the package meant by tournament was something small and local. To find out, I had one more test in mind: I would pilot the better of the two decks for Game Day. One of the clerks of the shop, we’ll call him “Violent J,” is my first-round opponent, and all signs look good as I blow him out of the water in the first game. I open with a pair of [card Ornithopter]Ornithopters[/card] and a Memnite, then pop a ‘Thopter to a Kuldotha Rebirth to have an immediate and commanding board presence. A Contested War Zone adds a solid amount of damage, and a Darksteel Axe on the Ornithopter gives it some teeth after Violent J [card Doom Blade]Doom Blades[/card] and [card Grasp of Darkness]Grasps[/card] away some of my dorks. Still, he falls to the swarm in just a few turns, and the day is looking promising. I get another aggressive start in the second game, but Violent J’s able to stabilise with a Black Sun’s Zenith. 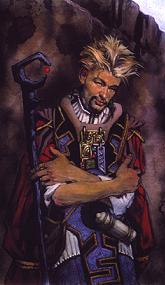 In fact, he Zeniths twice in this game, keeping things clear while he brings in a pair of [card Vampire Nighthawk]Vampire Nighthawks[/card] and a Bloodghast and easily gets there on the back of a Sangromancer. Although I didn’t see much of his deck in the first game, I’ve got enough of an eye on it to sideboard this time. Out come role players like the [card Panic Spellbomb]Spellbombs[/card], in go more spot removal with the [card Searing Blaze]Searing Blazes[/card]. Unsure of how many Zenith’s he’s running, I go ahead and trigger an early Devastating Summons for 3 to try and get stuck in early. Unfortunately, Violent J’s got the Zenith, and wipes my board again. Once more he rides a pair of Nighthawks to a comfortable win. A quick aside here for a moment. It is a indisputable certainty that each and every one of us was new to this game at one point in time- none of us were ‘born to it.’ Nor is it at all unusual for folks to take time away from the game and return after a long absence, as I did. Indeed, my second-round opponent, I’ll call him “G-Money,” was one of those as well. He’d only recently returned to the game, and it showed. His deck was a mono-Red aggro/artifact deck. G-Money made a lot of bad plays. He frequently forgot to attack with his Goblin tokens, and always left something at home to guard even when I had nothing to attack with (a single Signal Pest, for instance). He opened up game two by playing a Mountain and [card Galvanic Blast]Galvanic Blasting[/card] me to the face for 2. He tried to equip his equipment at instant-speed. And in what can only be described as a “wrong card for the right reason,” G-Money even ran an ‘alternate win condition’ of an Inkmoth Nexus. G-Money’s card selection was filled with jank. I was beaten down by a Snapsail Glider, though I had to correct G-Money that his Glider did not have flying because its metalcraft did not count his Embersmith. Artificers, as it turns out, aren’t quite the same as artifacts. I had my face smashed in by [card Koth’s Courier]Koth’s Couriers[/card] more than once. He cleaned my board with a Kuldotha Flamefiend. All told, his deck had the look of a sealed deck construction, and in truth it was probably not very far from this. And the most painful thing? G-Money had his way with Into the Breach. The first game he picked off my three [card Signal Pest]Signal Pests[/card] with Embersmith. The third game he burned out my turn-1 Goblin Guide (on turn 3), then wiped me with the Flamefiend, which he ramped into by way of my Contested War Zone. I’d had the Zone guarded, of course, but he dropped and sacrificed a Panic Spellbomb to make my lone defender step aside, and I never managed to get it back. I won game 2 in large part due to his inability to function with only two land. If I make sport of G-Money’s card selection and gameplay, it is done out of a sense of affection and irony rather than any real malice or cruelty. As I said, we’ve all been there. My hat is off to my opponent not just for beating me, but also for having the courage to show up to compete so recently back to the game. I took my losses in good spirits and good humour, notified the shopkeep I was done, and I left an 0-2 drop on Game Day. As always, your mileage may vary, and in fairness will typically be much better than the luck I had. 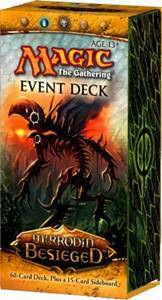 The Event Decks aren’t bad decks; they’re just poorly positioned ones. They overpromise a bit, but I suppose that’s marketing’s job, to get you excited enough to buy. These decks will get you in the door to any minor tournament and give you a fair chance at a successful evening, though you’re not likely to have consistent success with either one out of the box. That said, I’m very excited all the same at this new segment of the market Wizards is looking to explore. They both need tweaking, but I expect that with any out of the box deck. Did you leave before the rounds were over or was it a very small turnout? Elimination? I’m a little confused. It sounds similar to the experience we were having at our local game store. Into the Breach can have some nut draws but if you get taken past turn 5 it’s probably over. I’m disappointed in Wizards for pushing these decks so hard as a competitive product. Into the Breach is merely ok while Infect and Defile is abysmal. It was fun, I had a good time even losing. But I completely agree- these are to competitive play what the Deckbuilder's Toolkit is to constructed play- a strong start, but not a complete product.